“[The bicycle] is no longer a beast of steel... no, it is a friend... It is a faithful and powerful ally against one's worst enemies. 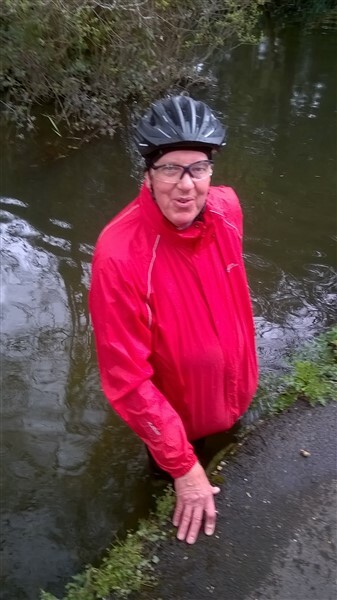 Richard, Geoff and myself (Peter)went for a little ride today, 25/04/16, which included the path along the River Stour near the Christchurch Priory where Geoff decided to cycle past a truck the tree surgeons were using to fell a couple of trees. There was about 2 foot path past the truck which Richard and I decided to walk with our bikes but Geoff tried to ride past with a nice dip in the river. I think in future he will need to bring swimming trunks. If you remember he went in the Kennet & Avon canal last year.